How can a beach be pink? There must be a scientific explanation. 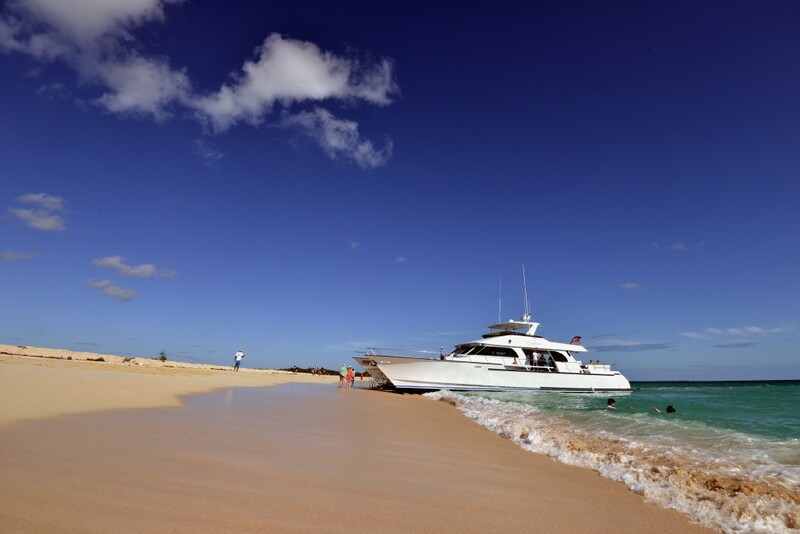 As the catamaran drops anchor, the sand on this beautiful strip of Barbuda blushes like a schoolgirl. It’s an extraordinary sight. We sailed from Antigua. An hour and a half of sparkling ocean brought us to a speck of an island that seems all but deserted. Barbuda is 60km2, about as tall as a basketball hoop and circled by a perfect seal of sand. I felt like Robinson Crusoe. I wasn’t alone, of course. The deck of our catamaran – the ‘Excellence’ – was brimming with day-trippers, honeymooners and the odd Don Juan in unforgiving Speedos. But stepping off the boat (below) I only had to walk a few hundred yards to secure a swathe of the Pink Beach all to myself. Bashful as it seems, Barbuda had a moment in the sun in the 1990s. Back then, Princess Diana apparently found peace while vacationing among its palm trees. The strand she returned to several times was re-named in her memory on July 1st, 2011 – the date on which she would have turned 50 – although the K-Club resort itself lies sadly derelict. I laid down my bag, pulled out a snorkel and fins, and waded into the tepid water. The visibility wasn’t great (a hurricane rolled through the Caribbean a few weeks earlier), but once I dove down a few meters, things cleared up. A pick-n’-mix of fish darted about the reef. There were conch shells in the sand. From June to October, you might even see turtles. Barbuda hosts a handful of exclusive resorts (Coco Point, Lighthouse Bay and North Beach), but it’s also famous for its bird sanctuary. 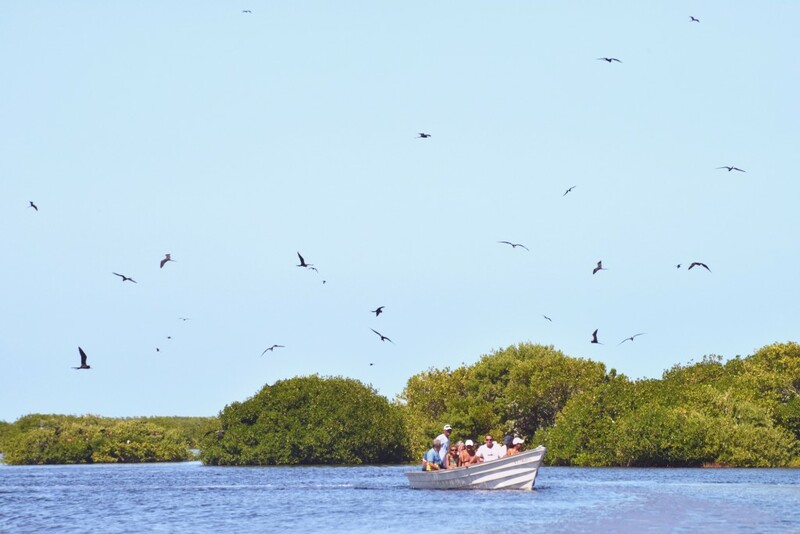 A mangrove swamp in the lagoon teems with frigate birds – whose males inflate their throats like balloons to impress the ladies. That’s about as racy as island life gets. Guests arrive into resorts on eight-seater planes, and they get the peace and quiet they’re looking for. The bars, clubs, festivals, Wi-Fi and jetskis of Antigua are a world away – you need to be prepared for that. And the Pink Beach? I learn that the coral here is crawling with microscopic animals. Known as forams, their red skeletons mix with sand and shells to give the beaches their pink crush effect. Cottages at North Beach start from $200pp per night, all-inclusive. BA flies from London to Antigua from £548. Barbuda can also be visited by daytrip from Antigua. See visitantiguabarbuda.co.uk for more info. Key words: Barbuda Pink Beach.